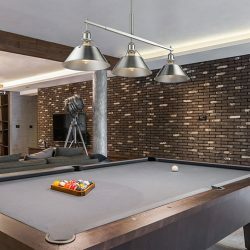 If you have a game room or home theater space in your house, it’s important to have the proper lighting that combines both ambient and accent fixtures. The ambient lighting provides general light for moving around the room, but when the lights are off during a movie or gaming marathon, it’s important to have accent lights that enhance viewing and prevent eye strain. 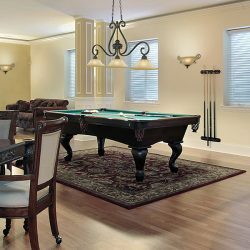 Accent Lighting in Wichita has the perfect selection of game room lighting, including pool table lights, bar lamps, and much more. For your general lighting, recessed fixtures that have dimmer switch controls allow you to set the levels where you need them for the current purpose of the room. You can set them low during a movie, and raise the levels once the film is over so that people can move safely around the room. Track lighting along the ceiling or sconces along the wall will give the room more of a “theater feel,” and those fixtures will provide the space with a perfect soft glow while the movie is playing. 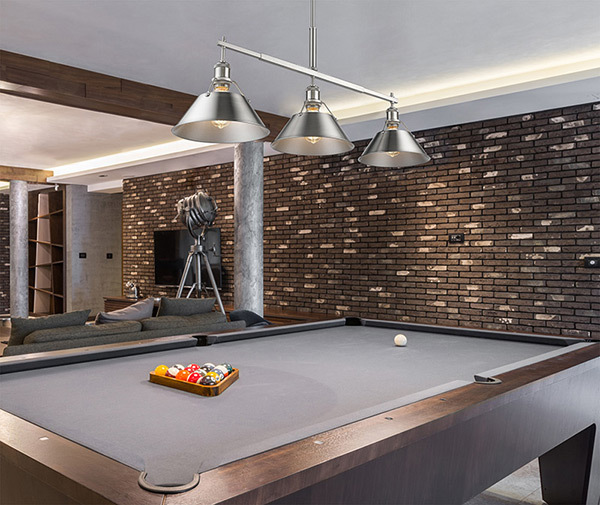 If the space is used more for games and activities, accent lighting such as pool table or island lamps will provide adequate light for every area. 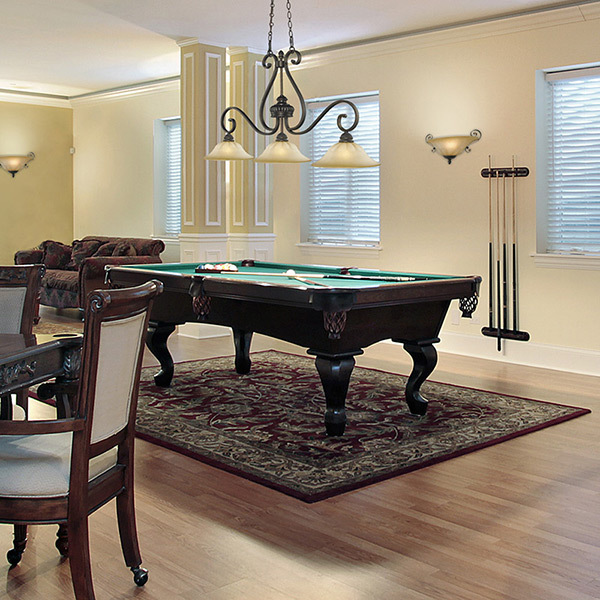 Whether it’s billiards, air hockey, or tabletop gaming, you’ll be able to see everything while you’re playing. 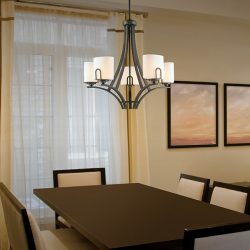 If you’re updating your game room, or you’re finally renovating that spare bedroom into a man cave, come to Accent Lighting, or look through our online catalog, and we’ll help you find the ideal fixtures for your home. 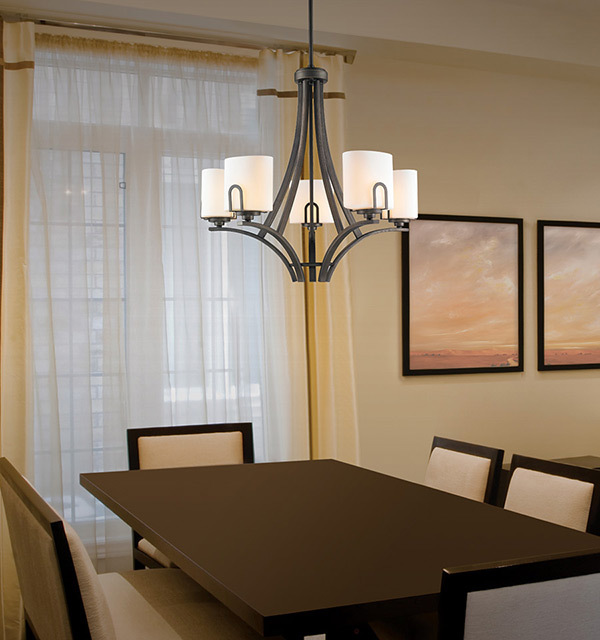 There’s nothing we love more than matching a customer with the perfect lighting design.